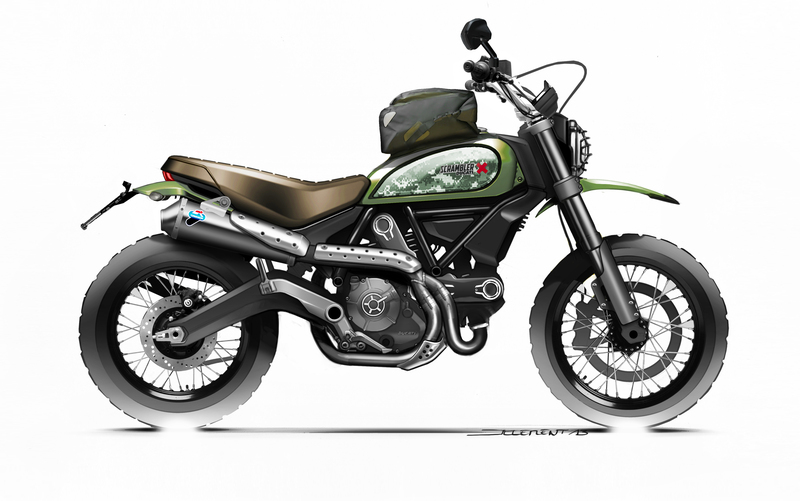 Firstly, it isn’t the ‘Ducati Scrambler’. Before you begin to think ‘sub-brand’, it’s not that either. 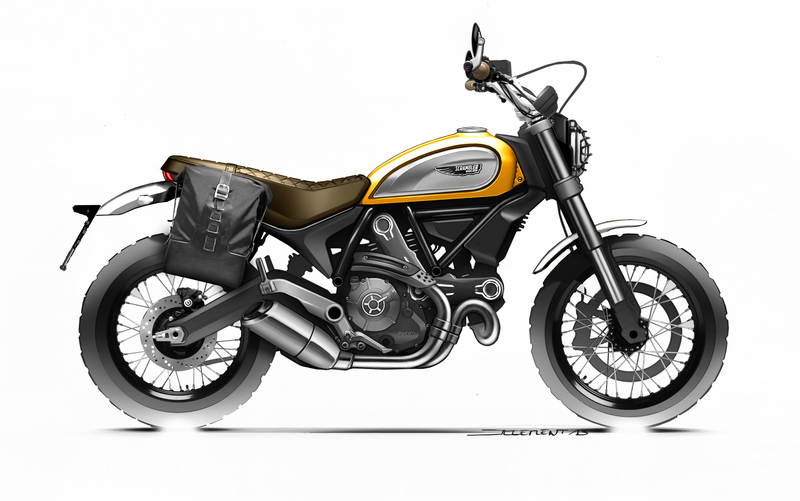 The official line, in fact, is “It’s not Ducati, it’s Scrambler.” Part of this is the marketing boffins justifying their salaries and confusing the crap out of everyone, but there’s also an element of democratising the brand, since Ducati has traditionally been associated with expensive sportsbikes that want to tear your face off. 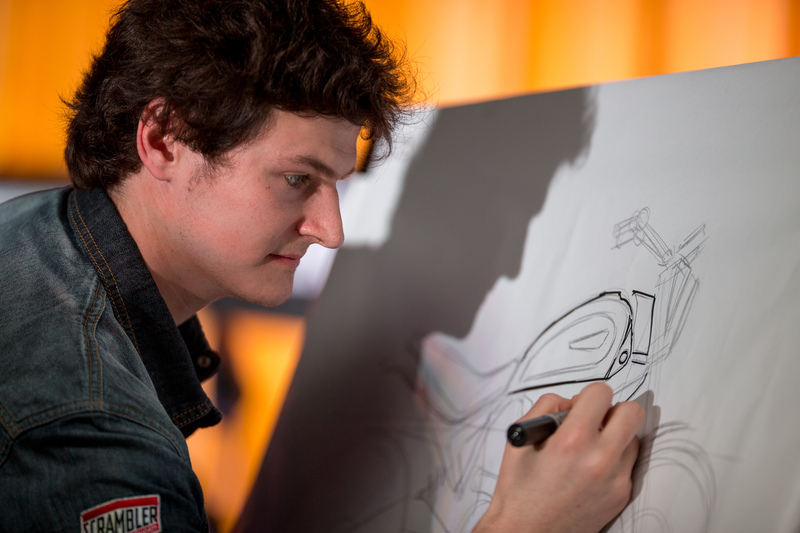 The Scrambler, says Ducati, is the friendly, easygoing face of the company. The Scrambler is an homage to a similarly named bike that Ducati first made in 1962, in order to respond to demand for such a bike in the USA. It became hugely popular, both for its simplicity and its fun-to-ride nature, and soon found its way into European markets as well. It isn’t just one bike, either – there’s four versions of them in the lineup, which is fairly rare in motorcycling. Mechanically and engine-wise, they’re identical, but you can pick from among the Classic, the Icon, the Urban Enduro and the Full Throttle, each of which has cosmetic differences. The Classic most closely resembles the original from 1962, with spoke wheels, the Icon is very similar but has alloy wheels, the Urban Enduro has on/off road styling and the Full Throttle looks like a flat-tracker. Hang on – so you want a Classic, but you rather fancy the exhaust from the Full Throttle, the seat from the Urban Enduro and the wheels from the Icon? No problem – the customisation options are huge, and you can pretty much put together a one-off bike by specifying different external parts. Ducati is going all out to build an aura around the Scrambler lifestyle, and to this end, it has lined up an extensive range of apparel and other accessories in order to cause your wallet to self-combust. There are open-face helmets, off-road goggles, gloves, jackets, t-shirts, hoodies, watches, bags of all sorts and other stuff guaranteed to inspire impulse purchases (followed rapidly by “Man, did I really need to buy that?”). There’s also a somewhat precious advertising campaign for the Scrambler all over the interwebs – clearly, the company is leaving no stone unturned. That’s all of the marketing hype dispensed with – what’s the bike actually like? Well, for starters, it looks absolutely smashing. Julien Clement, the bike’s designer, has done a slap-up job of tipping his hat to the original design, but he’s also injected a very contemporary flair into the machine, resulting in a Ducati that’s pleasingly retro yet absolutely modern. From every angle, this is a bike that will make you want to sod that important meeting and just go out and ride. 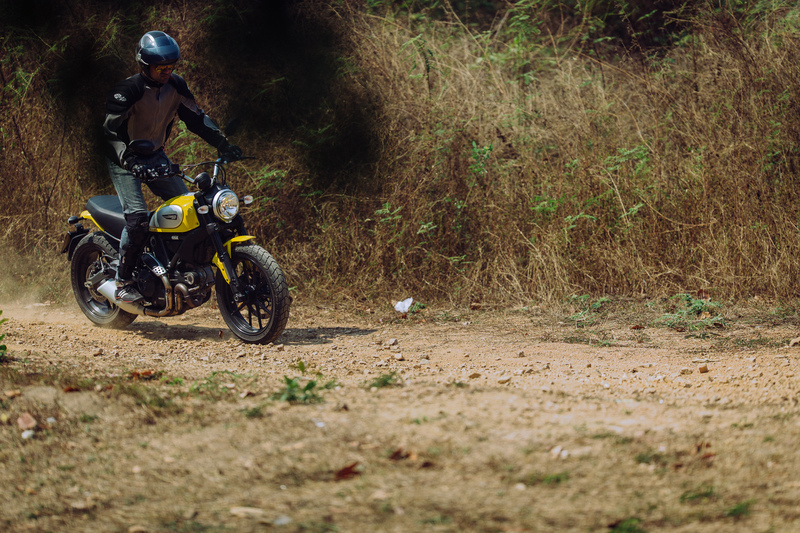 The Scrambler has that most desirable of traits in a motorcycle – friendliness. It encourages you to find your comfort zone while riding it, and there’s none of the manic nature of some other Ducatis I can think of. 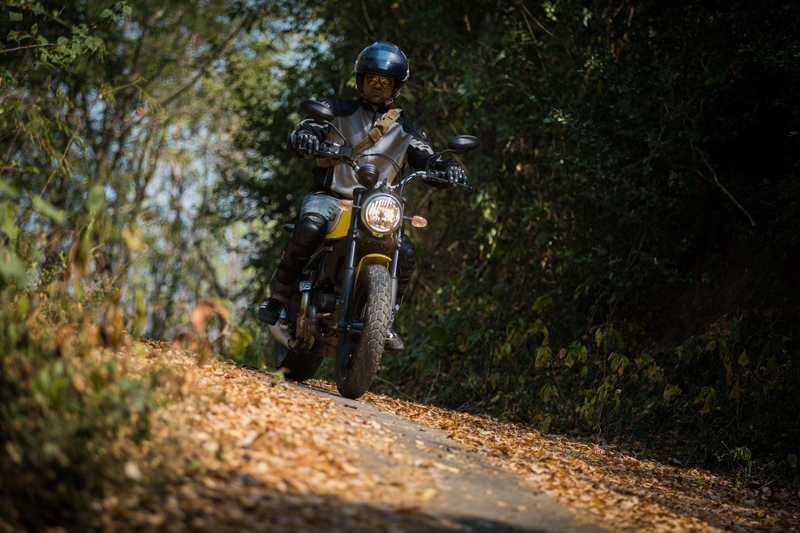 Regardless of whether you’re just starting out or whether you’re an advanced biker, the Scrambler will be a joy to bazz about on, both on the highway and on twisty back roads. The bike’s grippy Pirelli tyres, excellent brakes (with ABS) and just-right stiff suspension make for a flickable machine that you can trust, and it soaks up bumps competently enough. On Indian roads, it’ll be nigh on perfect – and because it’s quite a capable off-road bike, potholes won’t worry it in the least. All told, the Scrambler is a delightful bike, one that made me want to ignore the schedule during the ride in Thailand and just keep going. I’d specify lower handlebars, the throttle is a little hair-trigger and there’s a false-neutral between the 5th and 6thgears, but these niggles aside, the bike is thoroughly enjoyable, easy to live with and eminently desirable. You’ll be able to get your hands on one of these in India later this year (along with all the accessory/apparel toppings), so my advice is to start saving up. 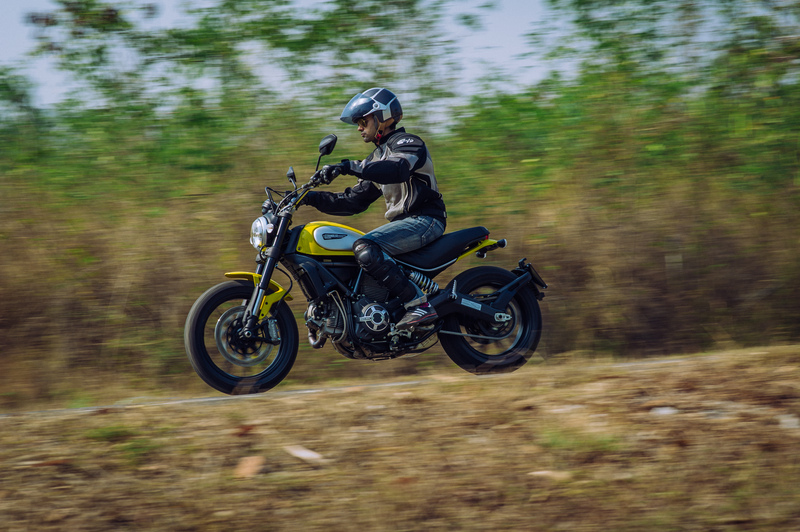 The bare-basic Scrambler Icon will probably cost in the region of Rs 7 lakh, ex-showroom, but by the time you’re done adding the various options you will undoubtedly be tempted to buy, expect an outlay closer to Rs 8.5 lakh. None of this is chump change, for a motorcycle, but the Scrambler will be one of the most entertaining extravagances you’ll put your ill-gotten riches down on.